Did you know that you can use IP Match technology in your direct mail campaigns? 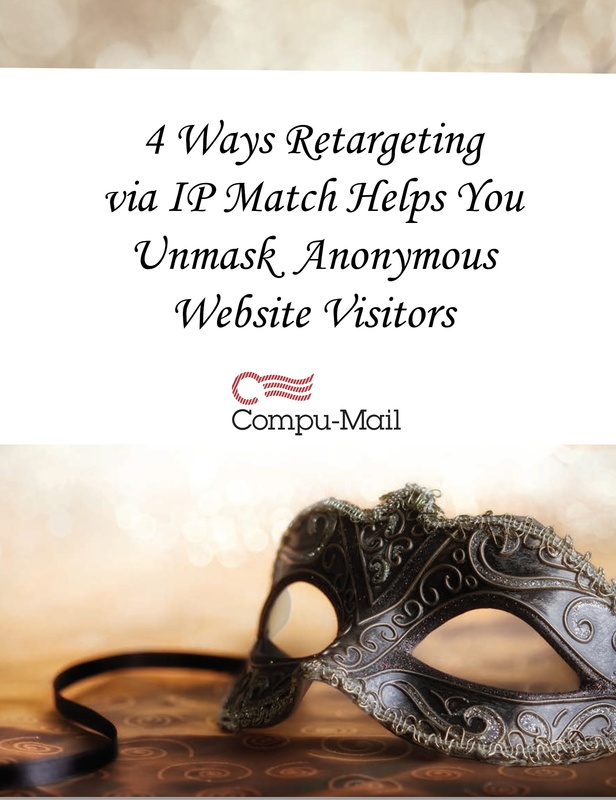 This white paper is designed to help marketers understand retargeting via IP match and how it helps to successfully unmask and convert existing, unidentifiable site traffic into individuals that can be marketed to resulting in incremental purchases. When reaching out to a prospect for the first time, it generally takes a few tries before they are ready to make a purchase. If they look to your website for more information, they may get what they are looking for but remain anonymous. Matching information to their IP address enables retailers to keep marketing messages in front of the individual via multiple channels including banner ads, site ads and most importantly direct mail. Download the white paper to keep reading!